Planning a trip, or just want to keep in touch with the river? The links below plus the reports on our blog will help you keep your pulse on the Miramichi and its Atlantic salmon fishery. For the latest Miramichi River Reports select Blog from the menu at the top of this page. NOTICE – The Department of Fishery and Oceans has recently announced that for 2017 there will be no retention of wild Atlantic salmon by angling, and that barbless single hooks will be required. Weather Canada – This is the most accurate forecast available. You can get the weather for locations at several locations along the river from the mouth to the headwaters. Weather Network Blackville – This source of weather has a 14 day trend that I have found gives you a good idea of the general weather patterns that you will see during the period. It can be very helpful in making tentative plans. Fire Weather – Fire weather lists rain fall and temperatures over the last 24 hours for several locations over the Miramichi and Cains River watersheds. These records are excellent for predicting future raises of water. Intellicast Radar – for the North East gives you the best way to see how heavily it is raining or snowing over the Miramichi Valley. Water Height Miramichi in Blackville – This gauge is located in Blackville. The number in meters describes an exact height in one spot, and you relate this to your location on the river. The lower river – below the Cains entry point – sees much larger raises than the upper river. Generally speaking few salmon are caught when the water is higher than 1.6 meters since the river is likely running dirty and all fish are runners. Good fishing height varies pool to pool, but .7 meters up to 1.1 meters covers the best levels for most salmon fishing beats. Water Temperature and Height Miramichi Doaktown – This gauge is seasonally located in Doaktown, about 22 miles upriver from Blackville. The river here is smaller and raises and falls more slowly. In summer the temperature is also available here both current and with a history for several days. Because the location is upriver you can sometimes see water beginning to fall in Doaktown while still rising in Blackville. This is valuable information. 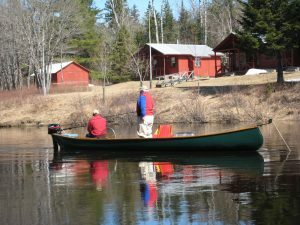 Web Cam at Bullock’s Lodge Pool in Boiestown – shows real-time images of the Main Southwest Miramichi River. Miramichi Watershed Maps – Manzer maps provide a very good way to look over the various rivers. Doug Underhill’s Report – Doug is a retired New Brunswick newspaper man with a lot of contacts up and down the river. 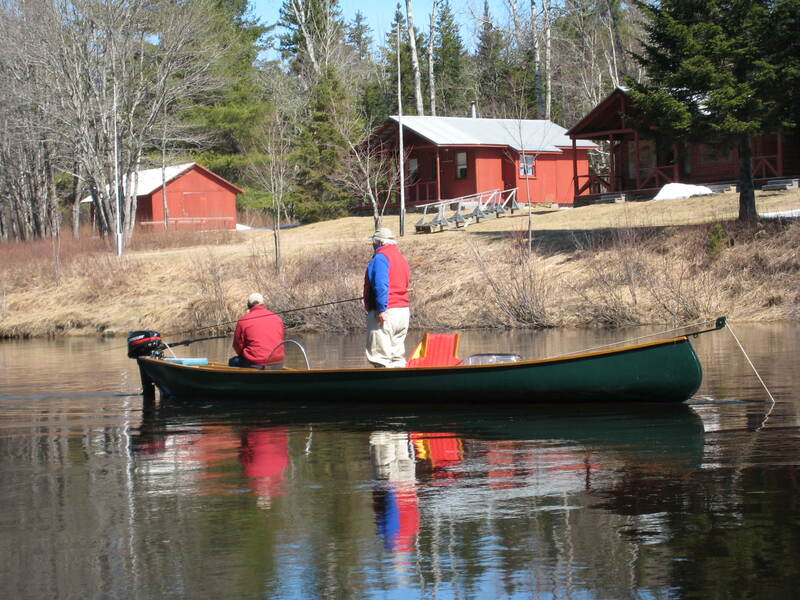 He has reported on Miramichi salmon fishing during the season for many years. Henry Giles’ Salmon Adventure Blog – English magazine editor and salmon fishing junky Henry and his friends also fish the Miramichi and Cains. Hear a little about UK Atlantic salmon fishing.